To this point, Hideo Kojima’s super cryptic Death Stranding has eluded all our know sensibilities in trying to decipher what exactly is going on. But now we get a little more of a glimpse behind the iron curtain, and things ever so slightly are starting to be revealed. Particularly the nature of these invisible creatures as to what happens when it makes physical contact. Thank you E3. To be fair, the crypticness of it all is a good thing, as I feel being inundated with information has the inadvertent affect of making one lose interest in a project before it is even out. This surely is not one of those cases. From legendary game creator Hideo Kojima comes an all-new, genre-defining experience for the PlayStation®4. Besieged by death’s tide at every turn, Sam Bridges must brave a world utterly transformed by the Death Stranding. Carrying the stranded remnants of the future in his hands, Sam embarks on a journey to reunite the shattered world one step at a time. 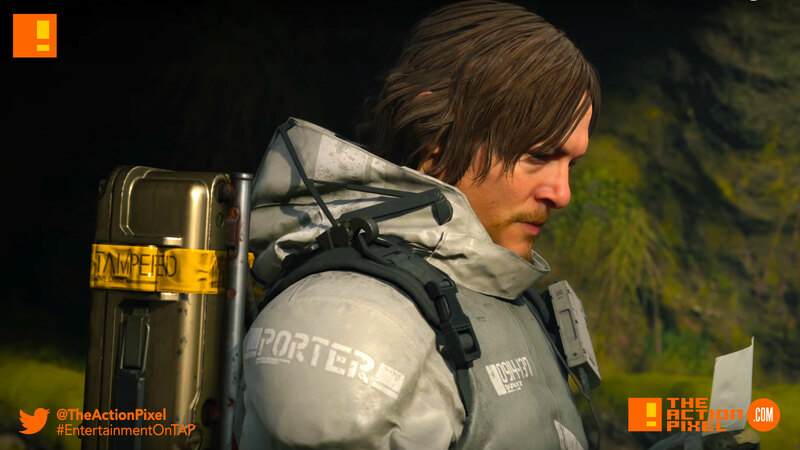 What is the mystery of the Death Stranding? What will Sam discover on the road ahead? A genre-defining gameplay experience holds these answers and more. “The Last of Us Part II” E3 2018 Gameplay Reveal Trailer is all about the feels… Love and sheer brutality.